Fatorda (Goa), Feb 13 (IANS) ATK doesn't have much of a choice rather than to go all out and secure a win against FC Goa that will enhance their chances of qualifying for the Indian Super League (ISL) play-offs at the Jawaharlal Nehru Stadium here on Thursday. Steve Coppell's team has the joint best defensive record in the league this season, having conceded just 15 goals in 15 matches. However, they also have the joint worst record in the final third, having scored just 15 goals so far. With 21 points, the sixth-placed Kolkata-based club can equal fourth-placed NorthEast United on points with a win against Goa, but Sergio Lobera, thanks to an improved defence this season, has developed his team into a solid, well oiled unit. There were no goals in the last meeting between these two teams, but a repeat of that result will do no good to either team's play-off hopes. The league's highest scorers will have to find a way past the ATK backline which has looked a bit shaky of late. "You come to Goa and see the players they have, they are very good and have a great coach who organises them very well. But our task is more or less defined." "For us to be in control of our own destiny, we need to win. Had we come here earlier this season, a draw could have been seen as a good result, but for us tomorrow, realistically a draw is not a good result," said Coppell. ATK are coming off a disappointing 2-2 draw against FC Pune City where they conceded a late equaliser. In fact, they have leaked in late goals in their last three matches, something that will concern the visitors. ATK's key to unlock the opponents will be the combination of Manuel Lanzarote and Edu Garcia in the attacking third. The duo were lethal against Jamshedpur in Kolkata, but couldn't do the same in the last game. In addition, Lanzarote will be keen to perform against his old team. However, Lobera feels Garcia is a bigger threat than his former protege. "I think we are facing a great team but I would only like to talk about my players. We have to beat a team, not an individual player. At this moment, I think Edu Garcia has been in great form for them," said Lobera. 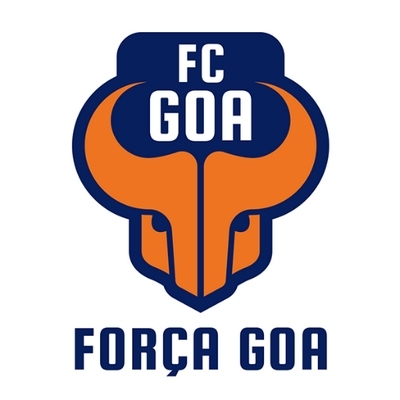 Last season, it was Lobera's Goa who ended the play-off hopes of Jamshedpur FC, who incidentally were coached by Coppell. The Englishman will be eager to ensure it is not the case again as a loss or a draw will effectively end their chances. ATK have been the most shot-shy team this season, attempting just 9.5 shots per game. Goa are placed at the other end of the list, with 15.5 shots per match. This might well be a a case of attack against defence.